Collectanea 1700-1800 Art Catalog Patrick Matthiesen and Guy Stair Sainty Exhibitions held in New York and London, January-March 1999, 208 pages Hardback in good condition with cover that has some damage. Text is clean and unmarked, binding tight. cover is clean however it does have rubs on bottom front edge of cover and back cover otherwise clean. This is a catalog from the exhibit, unknown which location. 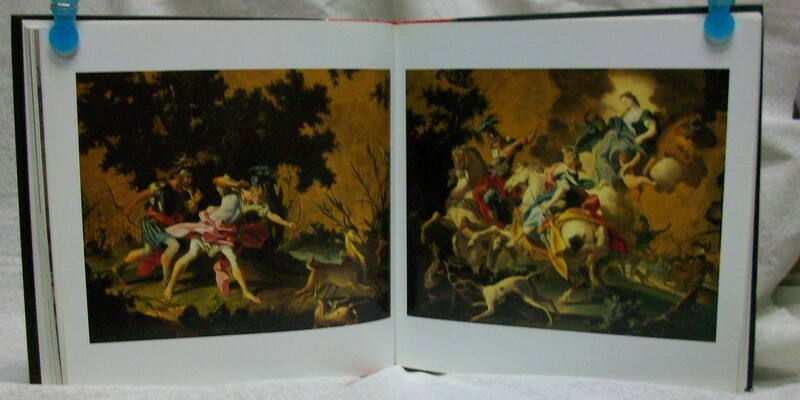 95 illustrations of famous art with complete write ups on each work, which are dated 1700-1800. Nice for the art collector as a reference. Oversized so additional shipping may be required depending on buyers zip code.